The committee of Grasim Industries on 31 October 2011 has allotted 1,715 equity shares under the company's Employee Stock Option Scheme, 2006. On allotment, the equity share capital of the company stands increased to 9,17,06,892 equity shares of Rs 10 each, aggregating to Rs 91.71 crore. The quantum of dividend will be entire appreciation in Net Asset value of dividend option until November 3, 2011 on the face value of Rs 10 per unit. The scheme recorded NAV of Rs 10.8056 per unit. Also the scheme will mature on November 3, 2011. The units of the scheme will not be available for trading on the NSE with effect from November 1, 2011. India’s leading car maker, Maruti Suzuki India (MSIL) has received its board’s approval to purchase land at district Mehsana in Gujarat, for future expansion of manufacturing facilities. This purchase would be subject to final negotiations on price and all legal formalities being completed. Moreover, during the first half of the year, the company registered net sales (net of excise) of Rs 15857.40 crore, a drop of 6.70% over the same period last year. Net Profit during the first half of 2011-12 stood at Rs 789.70 crore a fall of 25.80% over the same period last year. 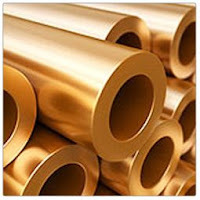 Copper prices got pounded on Monday trades as investors reported to hefty profit booking in the growth sensitive metal amid tapering optimism over Europe’s debt crisis resolution. The red metal prices also were weighed down by the appreciation in American greenback which made the dollar denominated commodity costlier for overseas investors. Copper for three-month delivery on the London Metal Exchange got dragged 3.1% to $7,920 a tonne. The unusual sudden decline in the India’s largest bank - State Bank of India’s profit for the March Quarter following change in top management has coerced the ministry of finance to place a system to ensure continuity in accounting practices in banks. Department of Financial Services Secretary D K Mittal said, “The finance ministry is addressing the issue and is planning to lay certain guidelines, the change of top management should not lead to rewriting of books and there has to be some continuity”. 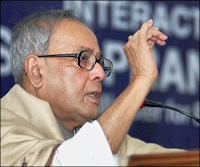 Stressing on the need to have more scrutiny by somebody Mittal said that the change in guard at helm should not lead to a significant change in the bank’s balance sheet. 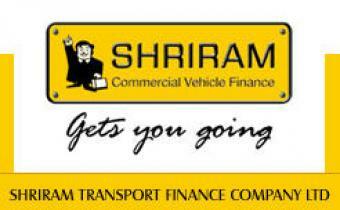 Shriram Transport Finance Company’ subsidiary Shriram Automall is likely to invest Rs 1,000 crore for opening 50 automalls by 2013. These automalls will facilitate truckers to replace their vehicles without any delay as it will provide unique platform for the second-hand trucks market. A virtual truck bazaar that will provide real-time information about used trucks available for sale and simultaneously facilitates registration of individual buyer's requirements. Customers will be free from brokers and RTI documentation by the OneStop service. The company plans to install one such facility at all its 500 dealerships. The company will require 3-4 acre plot with an investment of around Rs 1.5 crore for each automall and will function on a lease basis. 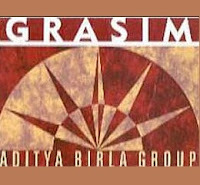 0।50% if investment made on or after 24 October 2011, is redeemed on or before 3 days from the date of acceptance. UTI Money Market Fund is an open ended Money Market Mutual Fund. The investment objective of the scheme is to provide highest possible current income. 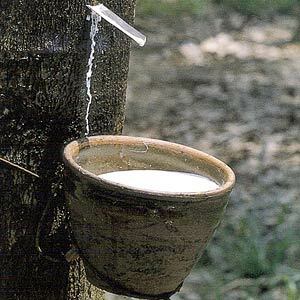 Physical rubber prices showed a steady trend on Saturday, though the global markets remained firm and the domestic future markets too showed some recovery in the final hours. However, the buyers resistance in the spot markets restricted any upmove. Spot prices for RSS-4 and RSS-5 variety remained unchanged at Rs 210/kg and Rs 206/kg. In the futures market, the contract of RSS-4 for November delivery closed at Rs 211.81 compared to its previous closing of Rs 209.85, while the contract for December delivery closed at Rs 212 compared to its previous closing of Rs 210.62 on the National Multi Commodity Exchange. 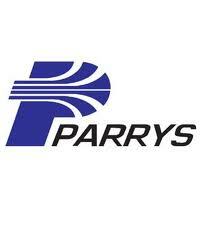 EID Parry India has announced that the company has allotted 42,334 equity shares of Re 1 each arising out of exercise of employee stock option, granted under the Employee Stock Option Scheme 2007. Further, with this allotment, the number of equity shares outstanding is 17,35,12,688 and the paid-up equity share capital is Rs 17.35 crore. 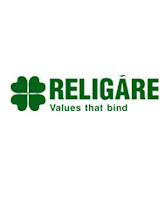 Religare Mutual Fund has unveiled a new fund named as Religare Fixed Maturity Plan – Series X – Plan A (13 months), under Religare Fixed Maturity Plan – Series X – Plan A to F, close ended debt scheme. The tenure of the scheme is 13 months from the date of allotment. The New Fund Offer (NFO) price for the scheme is Rs 10 per unit. The new issue will be open for subscription from 21 October 2011 and will close on 01 November 2011. The investment objective of the scheme is generate income by investing in a portfolio of debt and money market. The scheme offers growth & dividend payout option. 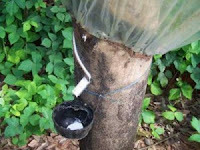 Physical rubber prices declined further on Thursday tailing their global market trends. Also in the domestic markets the arrivals remained lower as traders expecting price rice blocked their stock. Spot prices for RSS-4 variety closed at Rs 209.50/kg compared to its previous closing of Rs 213/kg, while the RSS-5 variety closed at Rs 206/kg compared to its previous closing of Rs 211/kg. 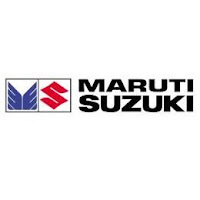 Maruti Suzuki’s 14-day-long strike at Maruti's Manesar plant has been called off with the tripartite agreement between the management, workers and Haryana government. The car maker has agreed to reinstate all 64 suspended permanent workers however continue the suspension of 30 on whom the allegations/charges were of more serious nature. This move by the management is a sign that the company is ready to bend to end months of labour unrest. On October 17 the Manesar Plant started with 180 workers next day the count went up to 400. The company's Gurgaon plant manufactured 1,750 vehicles on October 18 with production of 480 Swift cars. Over one lakh customers have placed orders for the Swift Car. 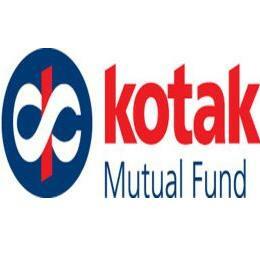 Kotak Mutual Fund files offer document with Sebi to launch Kotak FMP Series 70-79, 1 month to 60 months close ended debt scheme(s). The New Fund Offer price is Rs 10 per unit. Investment objective: The investment objective of the Scheme is to generate returns through investments in debt and money market instruments. The Scheme will invest in debt and money market securities, maturing on or before maturity of the scheme. Minimum Application Amount: Rs. 5,000 and in multiples of Rs 10 for purchase and switch-ins. Chana futures are trading lower extending the huge correction over last few days on imposition of 10% additional margin on Buy side and imposition of stock limit in Bikaner. However, the domestic demands remained good and were capping any sharp fall in the commodity prices. The contract for November delivery was trading at Rs 3,303.00, down by 0.30% or Rs 10.00 from its previous closing of Rs 3,313.00. The open interest of the contract stood at 146610 lots. The contract for December delivery was trading at Rs 3,418.00, down by 0.49% or Rs 17.00 from its previous closing of Rs 3,435.00. The open interest of the contract stood at 122390 lots on NCDEX. 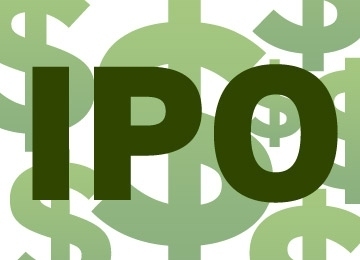 Bohra Industries, phosphatic fertilizer manufacturer, has filed draft red herring prospectus (DRHP) with market regulator Securities Exchange Board of India (SEBI). The company plans to issue equity shares having face value of Rs 10 each through book building issue. Saffron Capital Advisors has been appointed as book running lead manager and Bigshare Services as registrar to the issue. Bohra Industries, after conferring with lead managers, will declare the price band two days prior to the issue opening. Bohra Industries is engaged in manufacture and marketing of phosphatic fertilizer. 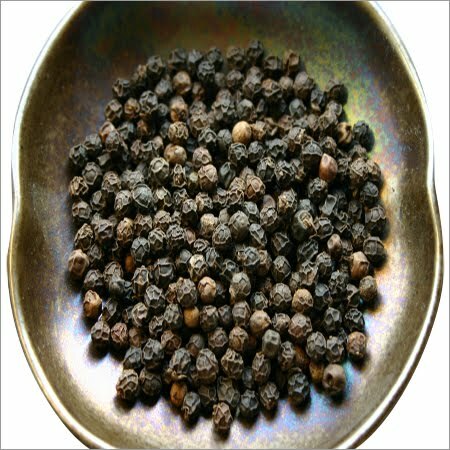 Currently, company’s only manufacturing facility is located in Udaipur from where it conducts all operations. Biocon, Asia's premier biotechnology company, has launched INSUPen in India on October 17, 2011. INSUPen, a world-class, differentiated device based on proprietary German technology is a convenient and affordable reusable insulin delivery device. It is designed for efficiency, accuracy and safety and can deliver both Basalog and Insugen, thus maximizing patient convenience. To take INSUPen ease to a totally new level for users, Biocon has created a support system that takes care of every possible need. 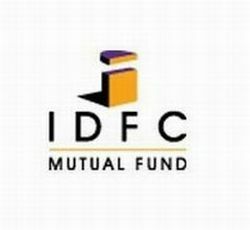 IDFC Mutual Fund has announced the New Fund Offer (NFO) IDFC FMP Yearly Series 53, a close ended income scheme. NFO opens for subscription on October 24, 2011 and closes on October 31, 2011. No entry and exit load charges will applicable for the scheme. The scheme offers dividend payout and growth option. The minimum application amount is Rs 10000 and in multiple of Rs 10 thereafter. The investment objective of the scheme is to generate income by investing in a portfolio of debt and money market instruments maturing on or before the maturity of the scheme. Bharti Airtel, India’s top mobile carrier has added 935,947 mobile subscribers in September. Following the said addition, the company’s total subscriber count stood at 17.28 crore. 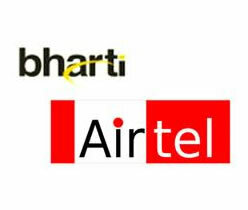 Bharti Airtel had added 11.50 lakh mobile subscribers in August. Recently, Bharti Airtel had selected Nokia Siemens Networks’ Serve at Once Device Management (SADM) software to be implemented across affiliates in 16 African countries. Moreover, Nokia Siemens Networks would consolidate the operator’s existing multimedia messaging service (MMS) platforms into one centrally managed virtual platform. India’s coffee exports have declined by 4 per cent in September this year due to low stocks and the weak global economic situation. According to Coffee Board data the country exported 24,041 tonnes of coffee in the month against 25,128 tonnes in the year-ago period. 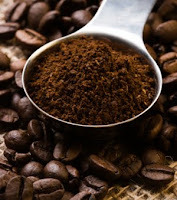 India largely exports coffee to Italy, Germany, Russia, Belgium and Spain. For the coffee crop year 2010-11 (October-September), India’s coffee exports grew by 41 per cent to touch 358,278 tonnes. Considering that the domestic market consumes around 70,000 tonnes next year, exporters will be left with around 20,000 tonnes. 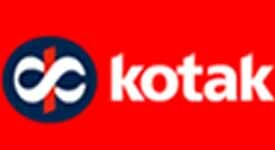 Kotak Mutual Fund has launched a new fund named as Kotak FMP Series 64, a close ended debt scheme with the duration of 17 months from the date of allotment of units. The New Fund Offer (NFO) price for the scheme is Rs 10 per unit. The new issue will be open for subscription from 21 October 2011 and closes on 31 October 2011. The investment objective of the scheme is to generate returns through investments in debt and money market instruments. The scheme will invest in debt and money market securities, maturing on or before maturity of the scheme. The scheme offers growth and dividend payout option. Exit load charge will be nil for the scheme. The units of the scheme will be listed on BSE on allotment. The minimum application amount is Rs 5000 and in multiples of Rs 10 for purchase and switch-ins. 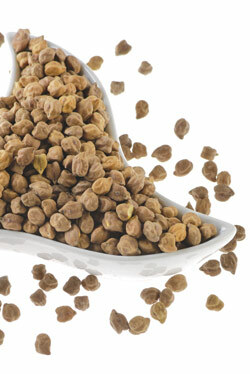 Chana futures have extended their gains on NCDEX on the back of improved demand at the lower levels. 1st Advance Govt estimates of a fall in Pulses production to 6.43 million tonnes against last estimates of 7.12 million tonnes have supported the Chana rates. The contract for October delivery was trading at Rs 3021.00, up by 0.77% or Rs 23.00 from its previous closing of Rs 2,998.00. The open interest of the contract stood at 21130 lots. The contract for November delivery was trading at Rs 3112.00, up by 0.65% or Rs 20.00 from its previous closing of Rs 3,092.00. SBI Mutual Fund has launched the New Fund Offer (NFO) of SBI Debt Fund Series -367 Days - 8, a close ended debt scheme. NFO opens for subscription on October 20, 2011 and closes on October 21, 2011. No entry and exit load charges will applicable for the scheme. The duration of the scheme will be 367 days from the date of allotment. The scheme offers dividend payout and growth option. The minimum application amount is Rs 5000 and in multiple of Rs 10 thereafter. The investment objective of the scheme is to provide regular income, liquidity and returns to the investors through investments in a portfolio. Pepper futures are showing some sign of stabilizing but still are trading in red. Rates of the commodity have fallen recently along with other agri commodities and lacking any positive triggers in the market. Traders expect some more dips in the short term till exports pick up again, however the fundamentals remained firm amidst expected rise in export. The contract for October delivery was trading at Rs 35,360.00, down by 0.06% or Rs 20.00 from its previous closing of Rs 35,380.00. The open interest of the contract stood at 1049 lots. The contract for November delivery was trading at Rs 35320.00, down by 1.12% or Rs 400.00 from its previous closing of Rs 35,720.00. The open interest of the contract stood at 9273 lots on NCDEX. HCL Learning, an education and talent development division of HCL Infosystems, has partnered with the Annamalai University of Tamil Nadu. According to the alliance, HCL Learning will launch MBA-IMS Program (Infrastructure Management & Security) via distance learning mode. The duration of the program is for two years. The distance learning mode of education provides opportunities for career development for individuals who are unable to attend regular classes for various reasons. Annamalai University is among the oldest and well-respected universities of India offering a huge portfolio of distance learning programs। The MBA-IMS Program is the first program to be launched jointly under its alliance with HCL Learning. 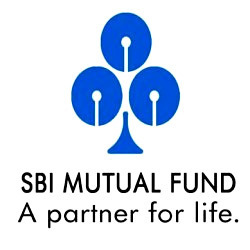 UTI Mutual Fund has declared dividend under UTI Fixed Maturity Plan-Yearly Series (YFMP 09/10) on the face value of Rs 10 per unit. The quantum of dividend will be 100% distributable surplus as on the record date. The record date for the dividend payout has been fixed as October 24, 2011. The scheme recorded NAV of Rs 10.0446 per unit as on October 17, 2011. The investment objective of the scheme is to seek regular returns by investing in a portfolio of fixed income securities normally maturing in line with the time profile of the plan, thereby enabling investors to nearly eliminate interest rate risk by remaining invested in the plan till the maturity/final redemption. Union Finance Minister, Pranab Mukherjee stated that India remains firmly on a growth trajectory of 8.5 percent to 9 percent in the medium to long-run, at a function to celebrate 25 years of India-Asian Development Bank (ADB) partnership. He further opined that the nation needs investment in quality infrastructure to enhance productivity and sustain the growth momentum. The finance minister’s statement comes at a time when Asia’s third largest economy is showing signs of slow down while inflation on the other hand continues to remain at elevated levels of around 10 percent. Mukherjee said that ADB needs to focus on issues that help in linking farms to markets and promote research activities and efforts in improving productivity of dry-land farming, efficient use of water, rain-fed irrigation, development of drought-resistant varieties of seeds and other similar concerns. MindTree on 17 October 2011 has allotted 3,198 equity shares of Rs 50 each fully paid to the employees/directors of the company pursuant to exercise of stock options granted to them under the 2001 Stock Option Plan (Program 2). The company has allotted 5,970 equity shares of Rs 250 each fully paid to the employees/ directors of the company pursuant to exercise of stock options granted to them under the 2006(a) Stock Option Plan (Program 3). The company has allotted 43,764 equity shares to the employees/directors of the company pursuant to exercise of stock options granted to them under the 2006(b) Stock Option Plan (Program 4).